A 4-year-old boy – who historians believe could have been Adolf Hitler – was saved from drowning in the icy waters of the River Inn in Passau, Germany, in January 1894. The story has surfaced from a newspaper report chronicling how the little boy was saved from drowning in a German archive. Max Tremmel, a priest who went on to become one of Europe’s most famous organists, said his predecessor Johann Kuehberger had rescued the terrified Hitler. 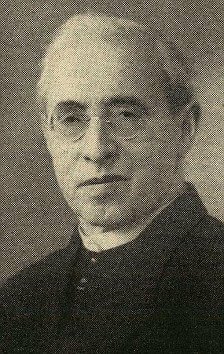 Father Max Tremmel told before his death in 1980 how Father Johann Kuehberger, around the same age as Hitler, had seen the other boy struggling in the waters of the River Inn and dived in to rescue him. The story was never verified by Hitler during his lifetime. But now a small cutting from the Donauzeitung – Danube newspaper – of 1894 has been found in Passau. The report described how a “determined comrade” – the paper at the time was left-wing – went into the freezing water to save the boy who would grow into mankind’s biggest monster. The near-drowning episode also featured in a German book called “Out of Passau- Leaving a City Hitler Called Home” by Anna Elisabeth Rosmus, a personal history of her family’s connections with it. Anna Elisabeth Rosmus wrote: “The banks of the River Inn provided an idyllic setting for the children to play. “In 1894, while playing tag with a group of other children, the way many children do in Passau to this day, Adolf fell into the river. “The current was very strong and the water ice cold, flowing as it did straight from the mountains. Hitler would, as a young man and later among his generals, tell stories of how he played cowboys and Indians on the banks of the river but he never once related the near-drowning tale. “In Passau, however, everyone knew the story. Some of the other stories told about him were that he never learned to swim and needed glasses,” the writer said. No name is given for the child in the old Passau newspaper but historians believe it gives credence to Father Max Tremmel`s claim that it was indeed Hitler. Later this month, Bavarian Radio is to run a news feature programme on the incident. Called “If Hitler had drowned. The legend of a fatal lifesaving” will feature several elderly Passau residents confirming that they heard the story of Hitler’s near-brush with death as they grew up in the city. It is likely that Hitler airbrushed the incident out of his life history. Being rescued by a boy who went on to represent a religion he despised would not have sat well with the myth Hitler had built around himself of being called by destiny to save Germany.